Props for the unique public stunt. 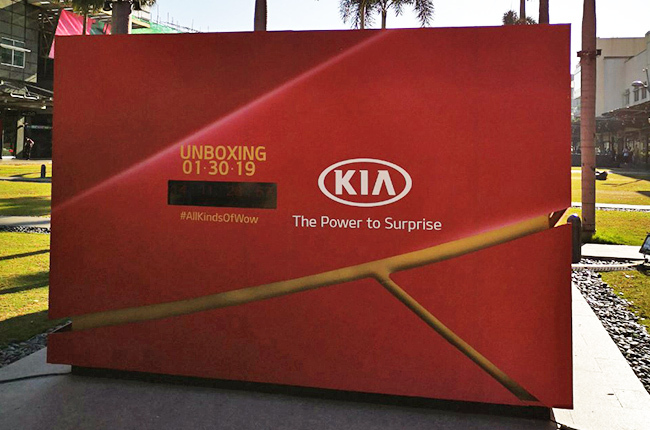 Now, what’s inside, Kia Philippines? 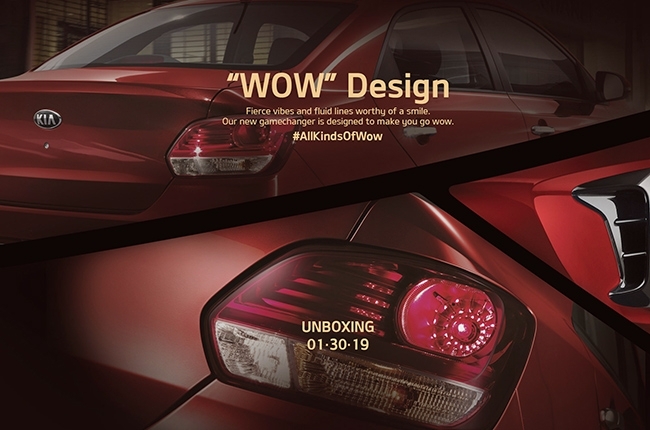 When Kia Philippines announced its brand relaunch and new marketing plan under Ayala Group's wing, it came with a promise to bring three new names into the local market. Now, if you haven’t been to High Street, Bonifacio Global City lately, there’s a huge red box there that’s a bit late for Christmas but early for the Chinese New Year. 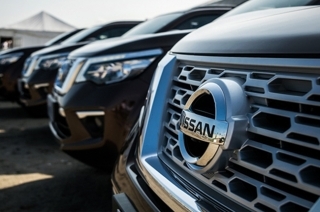 This is actually a teaser for the launch of the said new cars the South Korean brand previously promised. The public gimmick will literally take the real meaning of car ‘unboxing’. 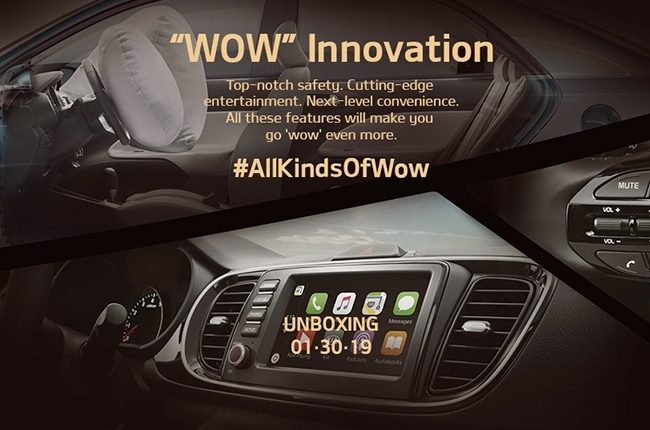 It is labeled with the hashtag #AllKindsofWow, and comes with a countdown timer set to strike ‘00.00.00.00’ on January 30, which coincides with the actual launch of the three new models. The pieces of the puzzle keep on coming, and the clearest ones, yet, are the teaser photos on Kia Philippines’ website. 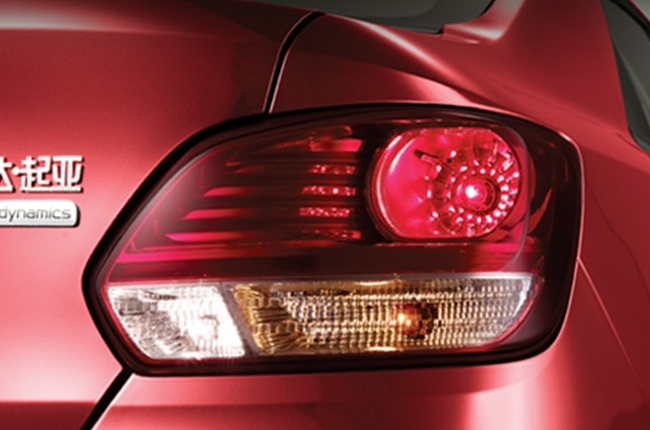 If you inspect one of the teaser photos closer, the shape of the taillight can be traced to match the China-made Pegas subcompact sedan. However, the badge that has been cropped off in one the teaser photos don’t match the ‘Pegas’ nameplate. 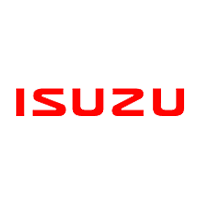 The cropped badge can be read “...luto”, which, according to local reports, is Soluto – a rebadged name for the Pegas. So, what’s this Pegas and why is Kia adding another subcompact car when it already has the Rio? Alright, first off, Pegas is a nameplate exclusively manufactured for the Chinese market, which debuted at the 2017 Auto Shanghai. It carries in a 1.4-liter Kappa MPI I4 engine with 94 hp and 129 Nm. 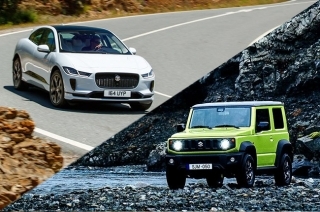 There are two options in terms of transmission: a five-speed manual and a four-speed automatic. Is it replacing the Rio? It probably won’t. 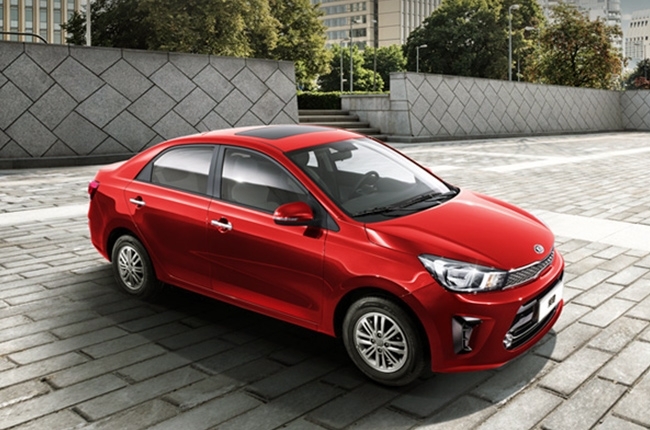 The Rio is now only available in hatchback so the upcoming Soluto could possibly sit as Kia’s sedan for the subcompact car segment. 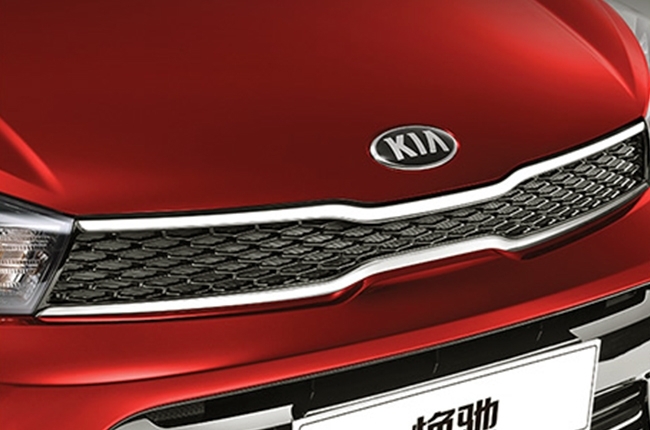 The Chinese-spec model has a base price of ¥49,900 on Dongfeng Yueda Kia’s (Kia China) website. That’s roughly around P385,000 when converted straight to our currency. 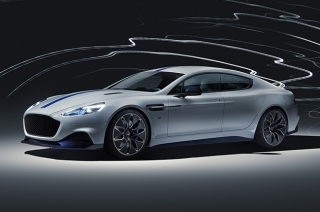 The top-range variant has a price tag of ¥73,900, or P570,000. There are 475 liters of trunk space, 2,570 mm wheelbase, and a fleet of convenience and safety features – that's if Kia Philippines is launching the car in its truest form. The Chinese-spec Pegas (better start calling it Soluto now) has a touchscreen infotainment system with Apple CarPlay compatibility. Commands can be toggled using the steering-mounted audio controls. 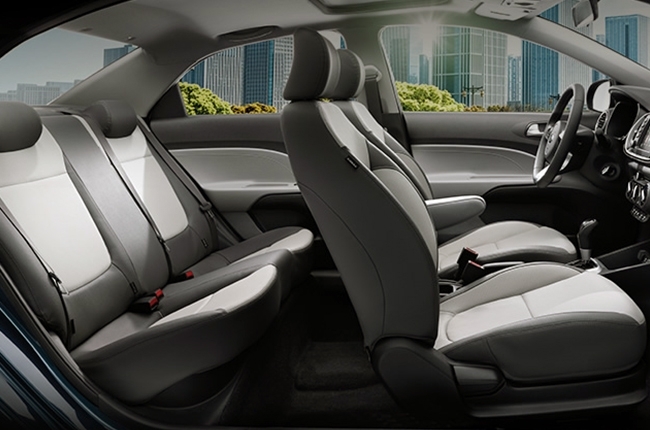 More features include dual front airbags, rear-view camera, among others. 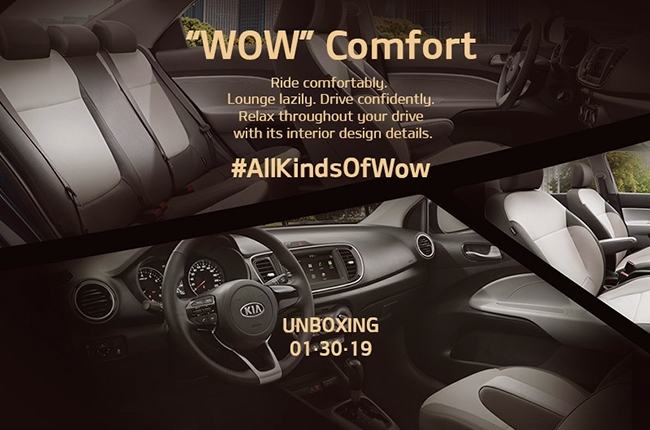 So much for the Soluto, Kia Philippines promised to introduce three vehicles on the 30th. Now that we already know (most likely) what one of those is, what could be the other two then? Yesterday, we posted photos of the red box on Facebook where people got to share their hunches on whether what car is inside. Well, there’s a good number of those who believe that it’s the Stinger. Some argued that the box contains the Stonic crossover. If we’re only blessed with X-ray glasses, we’d tell you right away. 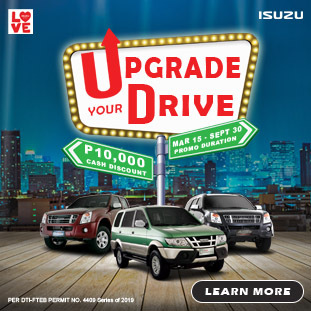 However, we weren’t, and we also don’t want to completely spoil Kia Philippines’ surprise. The information stated in this article is merely an opinion and a guess, but not official. In fact, there are multiple possibilities, with the Soluto being the closest to reality. It could be the new Soul, or maybe, it’s the rightful comeback of the Forte nameplate, who knows? Editor's Note: This is in no way a confirmation that the upcoming new model of Kia Philippines will be the one we included in this list. Treat this article as a wish list.